Have you found your soulmate? What's on your lover's mind? Are you on the right path in your career? Call Timothy Reagan and uncover the truth! Psychic medium Timothy Reagan can help you to navigate through life's trials and triumphs. A Witch and psychic for many years, his uncanny abilities pierce the veil, allowing him to peer into past, present and future. Timothy can advise and aid in all areas, including relationships and the emotions that go with them, connecting and making peace with loved ones who have passed over, or helping to fix problems or remove obstacles that stand in your way. When is love coming? Is he or she the right one for me? Is he or she cheating? When or if he or she will come back to me? Will I get that job or should I leave this job? Is money coming my way and if so ... how long? These are all questions Timothy can answer. Call Timothy today and discover the truth! Timothy's abilities include the gift of mediumship, the power to communicate with departed loved ones, as well as the Tarot, Runes and I Ching-the Chinese oracle of changes. 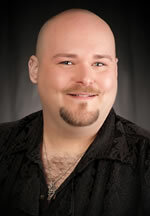 For over a decade, Timothy has worked at events in Salem, Massachusetts and psychic House Parties throughout the Boston area. His honesty and integrity will provide you with straight forward answers as he gets right to the point of the matter. His training as a High Priest of Witchcraft empowers him to teach you how to fix those problems, making him more than just an ordinary psychic! Timothy Reagan is unavailable ... but you can arrange a call back!